Cinnamon rolls are delightful, but there are only so many I can stand to eat in sitting. With raspberry rolls, there’s no such limit. They do, after all, have a serving of fruit. Plus, as I am sure you have realized, I am a big fan of healthy food. Cinnamon rolls are one of my favourite breakfast pastries, but filling sweet roll dough with cinnamon and brown sugar can get a bit mundane. I like to spice it up (or, well, spice it down) sometimes by subbing the brown sugar/cinnamon mixture with raspberries macerated with a splash of lemon juice. You can even use frozen raspberries as long as you defrost them and drain the juice. 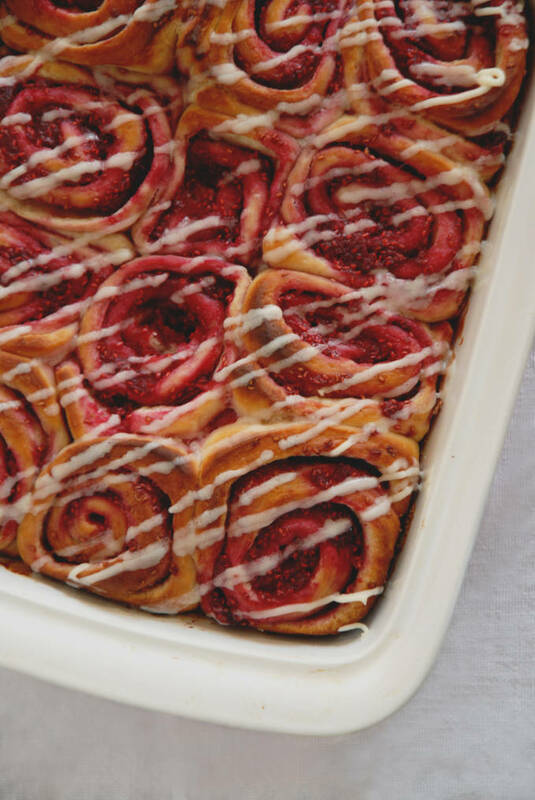 These raspberry rolls can be thrown together quite quickly. All you have to do is mix the dough, let it rest for an hour or two, roll it out, cover it with raspberries, roll everything up, slice into pieces, and let the rolls rise. I like making them in the evening (which for me is after midnight) and letting the rolls proof overnight in the refrigerator so that I can stuff my face with some fresh raspberry rolls in the morning. 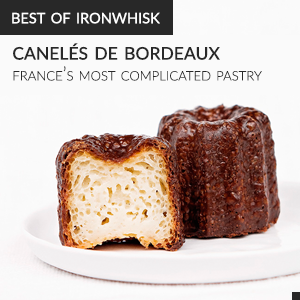 They go great with a cup of coffee and parents who complain about not being able to sleep because of your raspberry roll-ing pursuits. These rolls also make for a perfect treat to bring over to a friend’s house. Simply make the rolls, place them in a single-use baking tray, and let them rise. Bake to golden-brown perfection while you’re there, and you’re all set! I made a batch of these so that I could celebrate that the school year was almost over. I have a week left of high school, followed by exams, and then I’m free! Well, as free as a horse with blinders is. 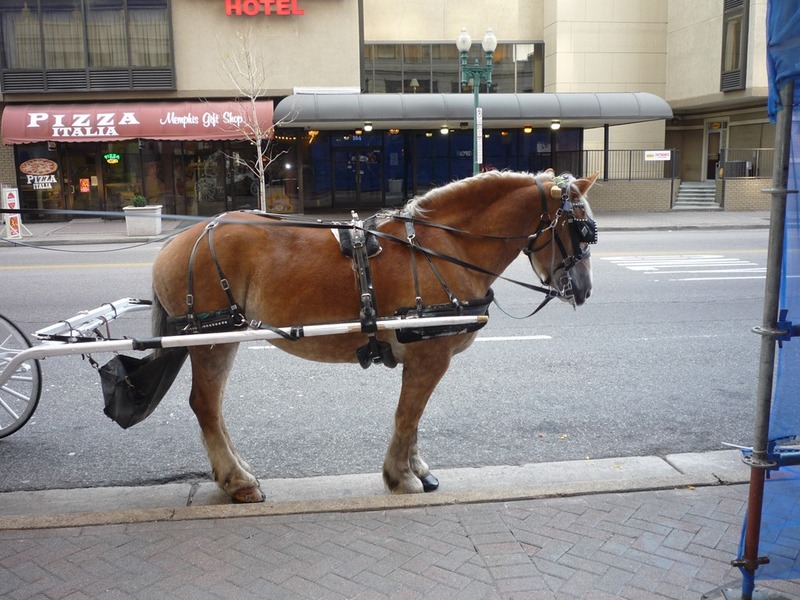 Sometimes I wish I had a poop bag like those horses. I’m sure that would make the blinders worth it. 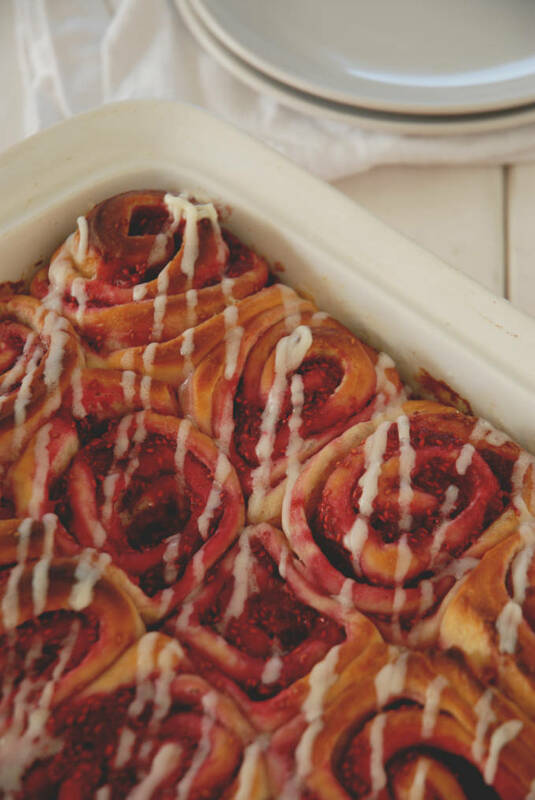 Sweet and tangy raspberry sweet rolls: cinnamon roll dough with raspberry filling and cream cheese icing. Dissolve the yeast in the warm milk in a large bowl. Add 1 teaspoon of sugar and stir. Let rest for 5 minutes. Add sugar, butter, salt, eggs, and flour. Mix well. Knead the dough into a large ball, using your hands lightly dusted with flour or use a stand mixer. Put in a bowl, cover, and let rise in a warm place about an hour or until the dough has doubled in size. Roll the dough out on a lightly floured surface. Roll the dough flat until it is approximately 21 inches long and 16 inches wide. It should be about ¼ inch thick. Combine all ingredients except the butter in a bowl and let sit for twenty minutes. Spread the softened butter evenly over the surface of the dough, and then spread the raspberry mixture over the surface. Working carefully from the large side, roll the dough down to the other side, pinching the dough together often. Cut the rolled dough into twelve slices and place them evenly in a lightly greased baking pan. Let the rolls rise until doubled in size (about 30 min.). You can also leave them overnight in the fridge and then let them sit out at room temperature for a couple of hours. Bake for ~30 minutes at 375°F, or until golden brown. When the rolls come out of the oven, let them cool for about 15 minutes, then coat with the icing. The icing recipe makes more icing than what is pictured. Love! These look incredible…I LOVE raspberries! What a great idea to cold rise over night. I love the idea of the fruit. The rolls look great. I could eat the whole pan of these…..well, almost! Yippee, yahoo for school being almost done! That means work is all done for me too (well just for the summer, that is!). Wow, what a delicious breakfast will they make! Love that you added raspberries: berries make everything better! Cinnamon rolls are my favorite breakfast food, too. Love the raspberry filling! I always heard of cinnamon rolls. This is the first time I heard of raspberry rolls. Love the red colour there. I love this healthier version of yours. Thanks very much for sharing. Hope you are enjoying a new week!